How you word things changes the way people perceive you. This applies to a cover letter, a resume, an email and so forth. Make sure that your wording matches what you are trying to say and showcases you in the best way possible. You don’t want to not land that dream job because you didn’t word your cover letter as professionally as you should of, or have your resume not adequately represent you because instead of putting “Lead Recruiter at Search Solution Group, where I helped to find over 200 applicants careers” you wrote “Recruiter at SSG, helped find jobs for people without them.” Make yourself sound amazing while also being clear and concise. Don’t use abbreviations! Assume, like your high school teachers always said, that whoever is reading over your information is an alien who knows nothing about you. Just remember: Wording, Wording, Wording is KEY! 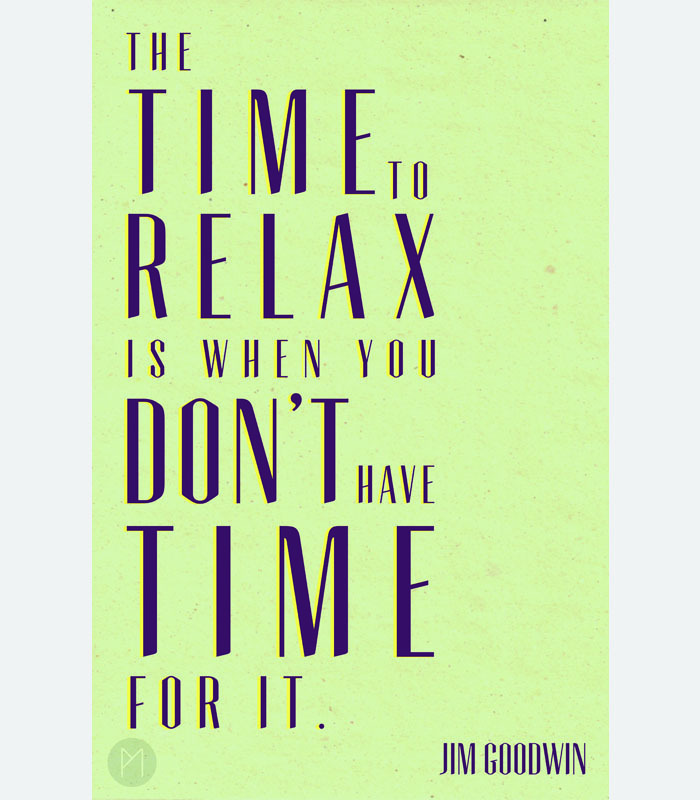 With the start of 2014, there is a lot of focus on what you will accomplish, and how you will make changes to benefit your life, but what about taking time to relax? By not scheduling in a little R&R, it can negatively affect your mood, immune system, memory, and stress level. This kind of lifestyle can put your big plans in jeopardy. Here are some tips for relaxing to help you deal with the stresses and pressures of the New Year. “Research suggests that daily meditation may alter the brain’s neural pathways, making you more resilient to stress,” says psychologist Robbie Maller Hartman, PhD, a Chicago health and wellness coach. The process can be simple. Sit up straight with both feet on the floor. Close your eyes. Focus your attention on reciting — out loud or silently — a positive mantra. You rush through dinner, hurry to your next appointment, race to finish one more thing on your agenda. Now try something different: Slow down. Talking to others — preferably face-to-face or at least on the phone — is a great way to better manage whatever is stressing you out. Mentally scan your body to get a sense of how stress affects it each day. Lie on your back or sit with your feet on the floor. Start at your toes and work your way up to your scalp, noticing how your body feels. No one likes to be told to relax, but by being conscious of your health, it will help you fulfill all of your big goals for 2014. So, get in touch with your Zen side and make this year the most relaxed, productive year yet! So you are drinking one of those frozen, artificially flavored blue concoctions from your friendly local gas station, and all of a sudden, brain freeze! Those are the worst, and they don’t always come from slurping your Slurpee too fast. Everyone has had that moment where their cranium ceases the firing of thoughts, and you are left with a lovely fish out of water look. Here is a list of actual labels that appear on consumer goods, that seem to recognize that brain freezes are becoming more common…or that everyone is just getting more daft. On a bar of Dial soap: Use like regular soap. On packaging got a Rowenta iron: Do not iron clothes on body. On an American Airline packet of nuts: Instructions: open packet, eat nuts. On a child’s superman costume: Wearing of this garment does not enable you to fly. If only everything in life was spelled out so clearly, and on the comprehension level of a 3rd grader. Unfortunately, everyday life does not come with such blatant instructions, and we sometimes need help. 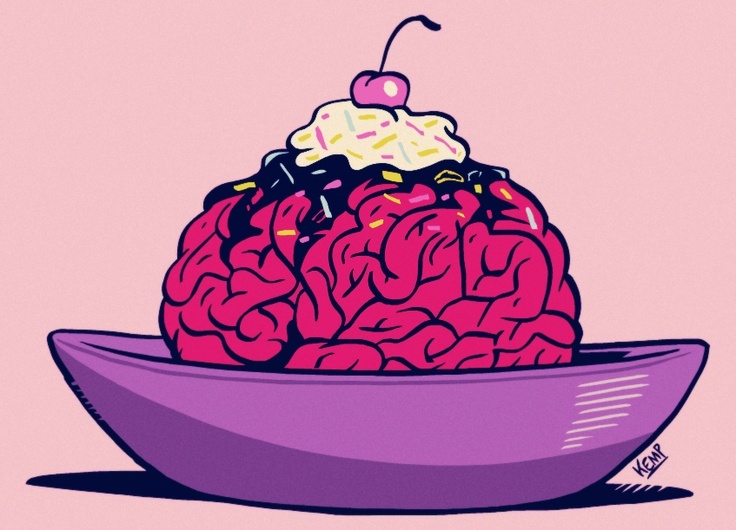 At Search Solution Group, one of our missions is to get people through those brain freeze moments that come with job hunting. What to do, what to say, what to think; there are so many questions that we can provide friendly and helpful guidance for, so that you land the job. Even though it is not always as easy as opening a packet of airline peanuts, our enthusiastic and dedicated staff will help get you through your job hunt with as few glitches as possible. On the other hand, how fast you drink your brightly colored frozen treats is completely on you. Over the course of our professional careers our resumes are going to be edited dramatically not only from the variety of positions we will hold, but also from altering each resume for each job application. You may have held 10 internship positions in your college career, from working at a magazine, graphic design, carpentry, etc., but that doesn’t mean that your potential future employer needs to know, nor cares about all of these positions. 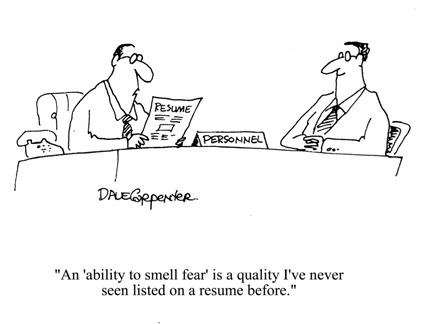 Make sure that what you list on your resume applies to the job you are hoping to get! Sure, add a few things to show that you are well rounded, but not too many. Make it relevant not ridiculous. No matter how many interviews you have attempted, practice always makes perfect! Look up common interview questions and practice your responses to them. Make sure that your responses are short and relevant to the position. The more you practice the more confident and competent you will look! Arriving on time is arriving late. If your interview is at 9:00 a.m. be there at 8:45, 8:50 at the latest. Without saying anything, your timely, or not so timely, arrival shows how important this position is to you and what kind of worker you are. Arriving early is the easiest way to make a positive impression, so plan ahead and show them you are serious! One of the most common interview questions is: So tell me what you know about (company’s name)? If you can’t sum up the basics from what is on the company’s website or social media pages, you mine as well just apologize for being a moron/wasting their time, and leave. Like showing up early, knowing basic facts about the company’s history and goals is a must and shows how seriously you do and will take this position. Make them feel like you have been a part of the team for years from all that you know about the company! Dressing the part goes hand-in-hand with doing your homework on the company. For example, showing up for an interview at a laid-back company that sells surfboards in a suit is not appropriate and quite frankly borders on embarrassing. The same goes for showing up at an interview with a law firm in jeans and a t-shirt. Like showing up early, this is a non-verbal cue that shows how much work you have put into your research on the company and what you know about the position you are hoping to fill. 6. Don’t Be Afraid To Ask Some Q’s! 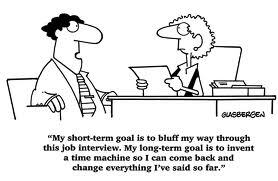 The best way to show that you are engaged in the interview is to ask questions throughout, and end it with a few closing q’s! Questions like: What are you looking for in the employee who fills this position? And, When are you hoping to fill this position by? Are great ways to look as though not only do you want the position, but you are willing to be whatever they need you to be and you are ready to start immediately. Obviously, do not ask these questions if they have already been discussed in the interview, so make sure you come up with a list of 5 or 6 ahead of time. Lastly, after your interview, when they smack themselves in the head wondering where you had been hiding all this time because of how perfect you are for this job, follow up. Send an email, or hand-write a thank you card (the latter is a great choice in an age where technology has overtaken personal mail), expressing your gratitude to them for taking the time to interview you and emphasize your continued interest in the position. Be prompt and professional! As I have repeated, show them that you are serious about their company and this position! It’s the beginning of January! New Years Day is still fresh in our minds! So what does that call for? Motivational quote time! Here at Search Solution Group we are all about being our best selves and loving our lives and what we chose to do with them! So, we have decided to share some of our favorite quotes with you to help you conquer that inner, or outer, battle you may be facing! If you haven’t noticed by now, not making a New Year’s resolution is practically a sin punishable by severe nagging and repetition of the phrase, “Come on, you have to think of something!” The really helpful part of this scenario is when the person that asks continues to stay and watch while you sweat it out, trying to come up an answer. Since, you know, everyone likes to be bug-eyed stared at while they try to come up with something to change about their life. Well, at the office of Search Solution Group, we wouldn’t subject our team members to anything less. After asking, prodding and pulling out answers from all who work here, we present to you the 2014 New Year’s resolution list from Search Solution Group! Listen to motivational/business books while working out instead of music. Hustle Harder, Go to church at least 2x a month, read more, save more/spend less. Follow through with plans, ideas, and things I want to do. Travel out of the country/take more trips, never allow myself to become complacent in anything I do. Follow the Grant Cardone mantra to create and stick to a daily habit/plan. Hmmm I don’t technically do New Year’s Resolutions because I make a list every year on my birthday … but here are some highlights from my 26 by 26 List! – Travel out of the country. – Run a half marathon in under 2 hours. Run at least three 5k races in 2014. Spend more time with family. Also, consistently exercise 3x weekly. See Mumford & Sons in concert (favorite band of all time), and since I just moved here, I want to make some more friends here in Charlotte! There you have it, the master list of inspiration for 2014! How could you not want to work with a team who has such great resolutions!? If your resolution for 2014 involves seeking out a new job, then Search Solution Group is where you need to come to make that goal a reality. If you want a new beginning to go along with the New Year, we can help you get started. Around here, we push ourselves, and inspire you to become the success story that you have always wanted to be. Now, get the confetti out of your hair, the empty champagne bottles off the floor, and the llama out of the kitchen so that we can get going! Duh nuh…duh nuh…duhnuhnuhnuhnuhnuh…DUHNUHHH!! Do you hear that? That is the sound that some people might think of when it comes to making a New Year’s resolution. It is just so easy to come up with something to change about yourself, right? Well, maybe not always, considering that the same resolutions tend to keep getting made, and broken. I will drink less, be less stressed, quit smoking, travel more; you know those old lines. These are the things that you blurt out when you have nothing else to say, and it is time to change that. 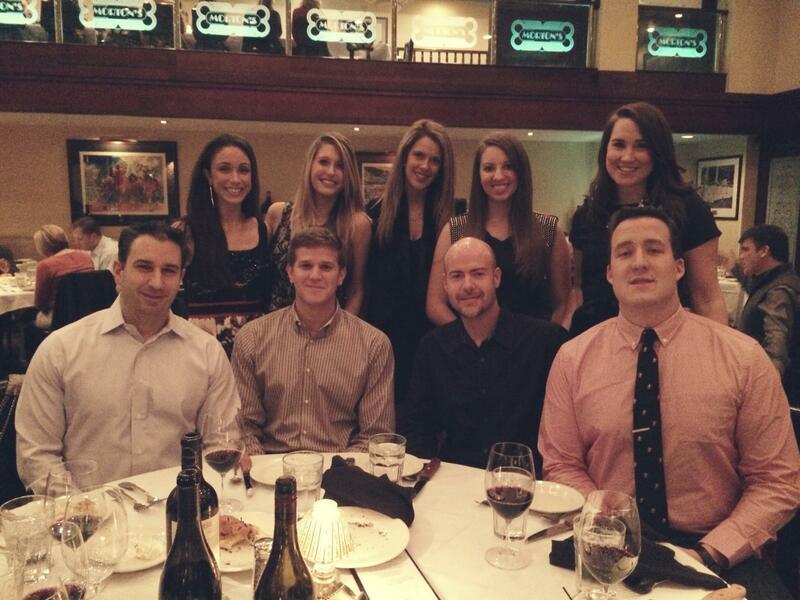 At Search Solution Group, we just have one question: do you want to continue what you are doing for another year? If the answer is yes, then more power to you! If it is no, then we need to connect. Jobs are essential, we all have bills to pay and mouths to feed, but it doesn’t have to be the most miserable part of your day. There is nothing worse than constantly checking the clock at work, and praying that there is a small office fire so that you can go home early. Eventually, you will be the one to toss that lighted match into the paper-recycling bin, and we don’t want you to get to that point. You deserve to have a rewarding career, and not to feel stuck in a place that you are unhappy with. Search Solution Group is ready and available when you are to make a change for 2014. If you want to work with the most helpful, dedicated and experienced recruiting staff in Charlotte, then give us a call so that we can get you on the right track for the New Year. By the way, sorry if your resolution was to drink less, be less stressed, quit smoking, or to travel more….those are still really great too!